Ingenico is not responsible if information made available on this site is not accurate, complete or current. The material on this site is provided for general information only and should not be relied upon or used as the sole basis for making decisions without consulting primary, more accurate, more complete or more timely sources of information. This site may contain certain historical information, which is necessarily not current and is provided for your reference only. All content on this site (including, without limitation, text, design, graphics, logos, icons, images, audio clips, downloads, interfaces, code and software, as well as the selection and arrangement thereof), is the exclusive property of and owned by Ingenico, its licensors or its content providers and is protected by copyright, trademark and other applicable laws. You may access, copy, download and print the material contained on the site for your personal and non-commercial use, provided you do not modify or delete any copyright, trademark or other proprietary notice that appears on the material you access, copy, download or print. Any other use of content on the site, including but not limited to the modification, distribution, transmission, performance, broadcast, publication, uploading, licensing, reverse engineering, transfer or sale of, or the creation of derivative works from, any material, information, software, products or services obtained from the site, or use of the site for purposes competitive to Ingenico, is expressly prohibited. 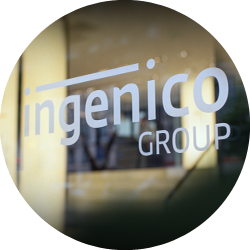 Ingenico retains full and complete title to the material provided on the site, including all associated intellectual property rights, and provide this material to you under a license that is revocable at any time in Ingenico&apos;s sole discretion. 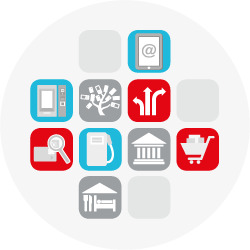 Ingenico neither warrants nor represents that your use of materials on this site will not infringe rights of third parties not affiliated with Ingenico. You may not use contact information provided on the site for unauthorised purposes, including marketing. You may not use any hardware or software intended to damage or interfere with the proper working of the site or to surreptitiously intercept any system, data or personal information from the site. You agree not to interrupt or attempt to interrupt the operation of the site in any way. Some features on this site require use of a password. You are responsible for protecting your password. You agree that you will be responsible for any and all statements made, and acts or omissions that occur, through the use of your password. If you have any reason to believe or become aware of any loss, theft or unauthorized use of your password, notify Ingenico immediately. 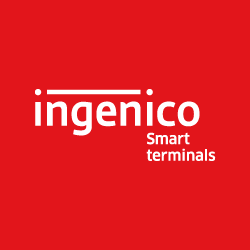 Ingenico may assume that any communications Ingenico under your password have been made by you unless Ingenico receives notice otherwise. This site may contain links to other Web sites, some of which are operated by Ingenico or its affiliates and others of which are operated by third parties. These links are provided as a convenience to you and as an additional avenue of access to the information contained therein. We have not necessarily reviewed all the information on those other sites and are not responsible for the content of those or any other sites or any products or services that may be offered through those or any other sites. Different terms and conditions may apply to your use of any linked sites. Ingenico is not responsible for any losses, damages or other liabilities incurred as a result of your use of any linked sites. Trademarks, logos and service marks displayed on this site are registered and unregistered trademarks of Ingenico SA or its affiliates and are their property. Nothing on this site shall be construed as granting, by implication, estoppel, or otherwise, any license or right to use any trademark, logo or service mark displayed on the site without Ingenico&apos;s prior written permission, except as otherwise described herein. This site and all of its content, including but not limited to text, design, graphics, interfaces and code, and the selection and arrangement thereof, is protected as a compilation under the copyright laws of France and other countries. Your use of this site is at your sole risk. The site is provided on an “as is” and “as available” basis. We reserve the right to restrict or terminate your access to the site or any feature or part thereof at any time without notice. Ingenico expressly disclaims all warranties of any kind, whether express or implied, including but not limited to the implied warranties of merchantability and fitness for a particular purpose and any warranties that materials on the site are non-infringing, as well as warranties implied from a course of performance or course of dealing; that access to the site will be uninterrupted or error-free; that the site will be secure; that the site or the service that makes the site available will be virus-free, or that information of the site will be complete, accurate or timely. You acknowledge and agree that you assume full responsibility for use of the site. You acknowledge and agree your use of the site is at your own risk and that the site is made available to you at no charge. Recognizing such, you acknowledge and agree that, to the fullest extent permitted by applicable law, neither Ingenico nor its affiliates, suppliers or third party content providers will be liable for any direct, indirect, punitive, exemplary, incidental, consequential, special or other damages arising out of or in any way related to the site, or any other site you access through a link from this site or from any actions we take as a result of communications you send to us, or the delay or inability to use the site, or for any information, products or services advertised in or obtained through the site. 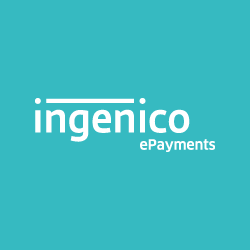 Your sole and exclusive remedy for any of the above claims or any dispute with Ingenico is to discontinue your use of the site. by e-mail through our contact form.